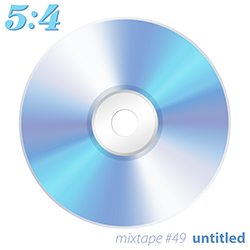 For the latest 5:4 mixtape, i’ve turned my attention to that most elusive of artistic statements, the untitled work. When i set out to assemble a shortlist of pieces in my library that had adopted the word ‘untitled’, it wasn’t immediately obvious what i’d find. 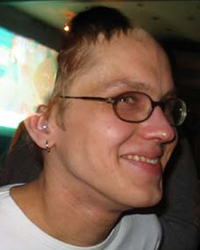 Yet, with one or two exceptions and to varying extents, untitled tracks tended to yield a very particular type of soundworld: generally dark and/or monochrome in terms of their tone, tenor or palette, with slow, patient use and deployment of sound, often including extended periods of quietness, overall lending the music a pensive, deliberate quality. Above all, i found these pieces to be music highly abstract in character, and while use of the word ‘untitled’ can often provoke frustration when we encounter it in works of art (“doesn’t the artist know what they’re trying to say?”), the intangibility of such music seems to strongly justify the suitability of this word. 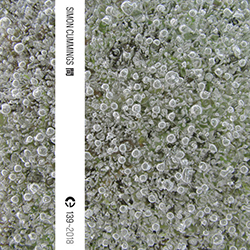 However, artists use the word ‘untitled’ in ways that are as playful and deceptive as they can be aloof and distancing, and for this mixtape i’ve therefore included not only tracks that are simply untitled but also tracks that use the word ‘untitled’ as part of a longer title as well as untitled segments of larger titled works. In the first hour, having begun with something of a red herring by Hecq, i’ve concentrated on calmer, darker examples that tend to focus on explorations of texture, from both static and variegated perspectives. Near the centre of the mix is the unexpurgated 15-minute Untitled Drone by Aidan Baker that isn’t just the highlight of his wonderful 2009 album Blue Figures, but one of the most beautifully coruscating exercises in slow-burning ambient that i’ve ever heard. In the wake of this, in the second half i’ve explored untitled tracks that are generally brighter and more colourful, introducing more beat- and pulse-based pieces, some of which even feature vocals (a real rarity in the world of ‘untitled’ music, it seems), and more overt use of instrumental sounds, both raw and cooked. Throughout the mix, there’s a wide temperature range demonstrated in these pieces, from the warmth (not always gentle) and/or balmy intimacy found in pieces by, among others, Subsea, Zbigniew Karkowski & Kelly Churko, James Clarke, Sea Oleena, Ochre, Aphex Twin and 36 to the varying forms of chilly remoteness, some of it seriously aggressive, exhibited by the likes of Noto, CD-R, Autechre, Helena Tulve, Nordvargr, Lethe and Christopher McFall & Ben Fleury-Steiner. And that playfulness i mentioned before – plus a fair amount of inscrutability – can be heard manifesting particularly in tracks by Natasha Barrett, John Wall & Alex Rodgers, Marc Behrens, DJ Yo-Yo Dieting, Øyvind Torvund and John Oswald. Ultimately, though, i don’t want to labour these descriptive terms or indeed the putative aesthetic connections i’ve been making between them, as they may belie the fact, as i said at the outset, that these are above all strikingly abstract pieces of music, and their ostensible lack of a title (if indeed that is what it is) is perhaps all that needs to be said about them. 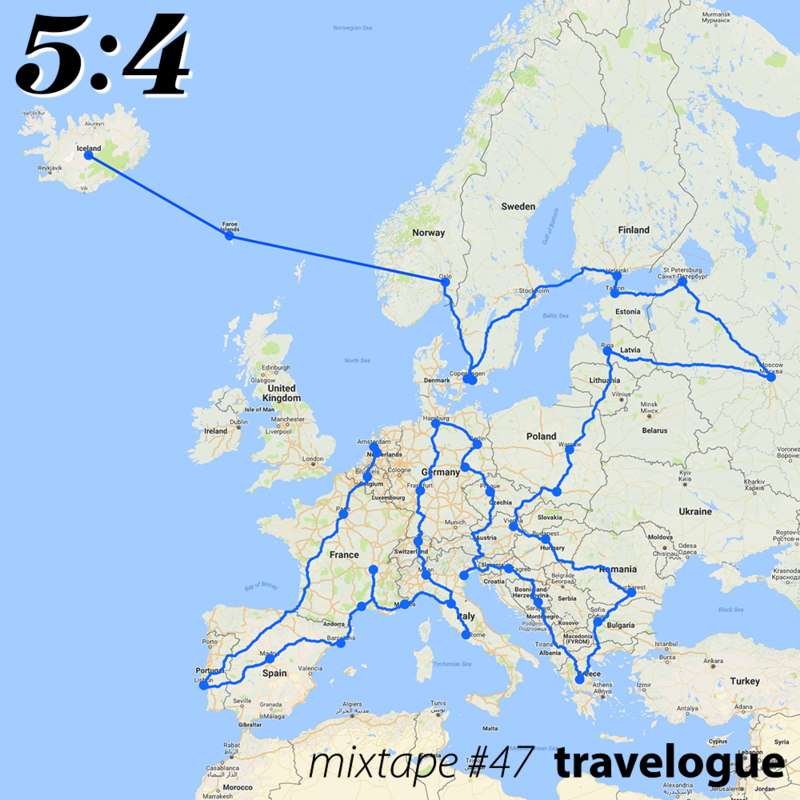 For my July mixtape, i’ve decided to take myself on an impromptu trip around mainland Europe. With the help of Google Maps, i’ve plotted a course that’s somewhat circuitous but which manages to take in most of the continent. Starting in Holland (I Was A Teenage Satan Worshipper, Ryoji Ikeda), we move down through Belgium (Autechre) and France (Andrew Liles) to the coast of Portugal (John Oswald). Coming back through Spain (Fergus Kelly, SPC ECO) and detouring into France again (Karsten Pflum, Zbigniew Karkowski) brings us to Monaco (John Debney), followed by a more prolongued period in Italy (Susanne Sundfør, Yelle, John Williams). Then we head north through Switzerland (Johnny Williams) for a longer stay in Germany (The Noisettes, Cluster, Bath40, Marc Behrens), before heading south again, through the Czech Republic (White Sea), glancing off Italy one final time (Muséum) and then down to the southern reaches of Croatia (FURT plus) and Bosnia and Herzgovina (Francis Dhomont), ending up for a bit of R&R in Greece (Three Drives). 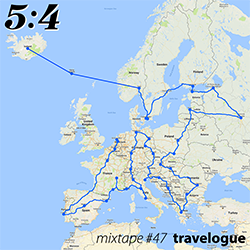 The journey through eastern and northern Europe initially takes us through Bulgaria (Brian Eno), Romania (The Noisettes) and Hungary (Alexandre Desplat), then we veer across to Austria (James Newton Howard) before heading north rapidly through Poland (Kate Havnevik, Joy Division) as far as Latvia (Markus Reuter). A brief jaunt in Russia follows (Cabaret Voltaire, Bersarin Quartett), whereupon we head for the Nordic countries via Estonia (Velvcsze), passing through Finland (Brothomstates) before travelling across the Baltic Sea (Somatic Responses) to Sweden (Lady & Bird), Denmark (Iain Armstrong, Scott Walker) and Norway (Isaiah Ceccarelli). The epilogue to the journey involves leaving the mainland, flying first to the Faroe Islands (Zinovia) and finally arriving in Iceland (J.Viewz). Having finally emerged from the dark days of Lent, i thought it would be fitting to have a new mixtape, with an upbeat theme. 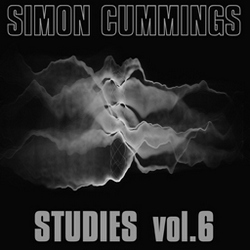 As i’ve mentioned on previous occasions, dance music has always been a parallel love of mine alongside the avant-garde, and this mixtape will, i hope, prove to be an irresistable selection. As always, there’s a mix of old and new, the oldest being around 13 years old, the newest released last month.